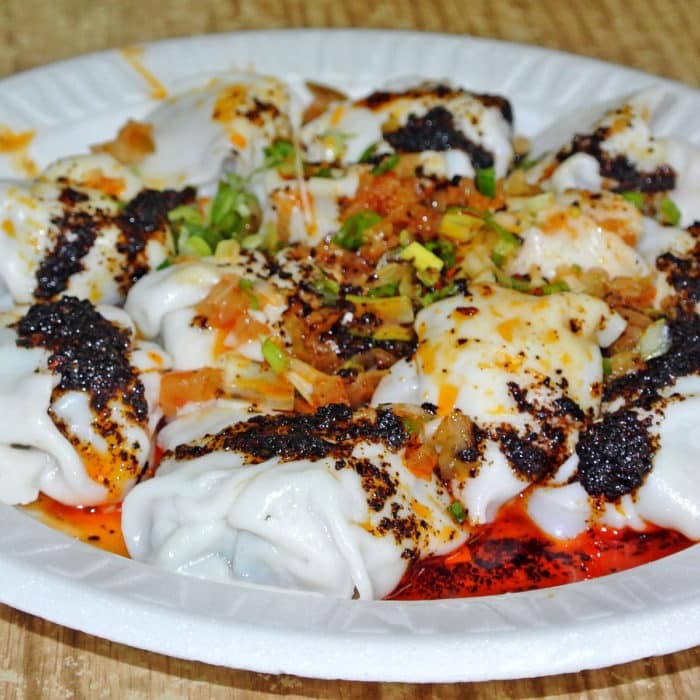 To find the very best dumplings, you are gonna have to hop the 7 or LIRR out to Flushing, Queens to New York’s biggest Chinatown. 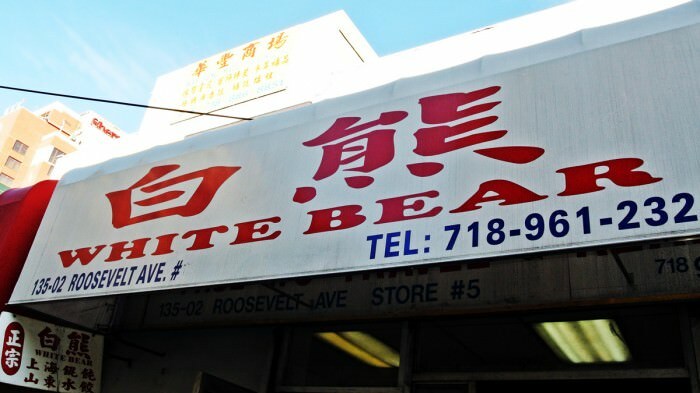 Situated a block from Main Street is a diminutive, slightly dingy shop called White Bear. I know it doesn’t look like much, but just trust me on this one. 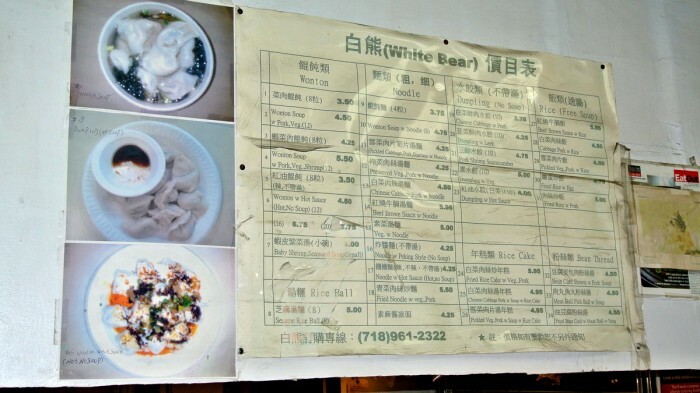 White Bear has a fairly long menu, but I’ve honestly never ordered anything except for the famed #6. What you will receive is a plate of 12 gorgeously thin-skinned, floppy, glistening white wontons covered in glowing red chile oil, minced pickled veggies, and a substance that looks like gunpowder. Now, I know what you are going to say. But Mike, those aren’t dumplings!! Well, I’m using the word dumpling pretty loosely here, but with no remorse. Even Wikipedia states that “A wonton is a type of dumpling commonly found in a number of Chinese cuisines.” So that’s that. Wontons are dumplings and these wontons are the very best dumplings I’ve found in NYC or the outer boroughs. Some people have dreams about being a superhero. Well, I dream about eating White Bear’s wontons. Just the thought of them makes my mouth water. 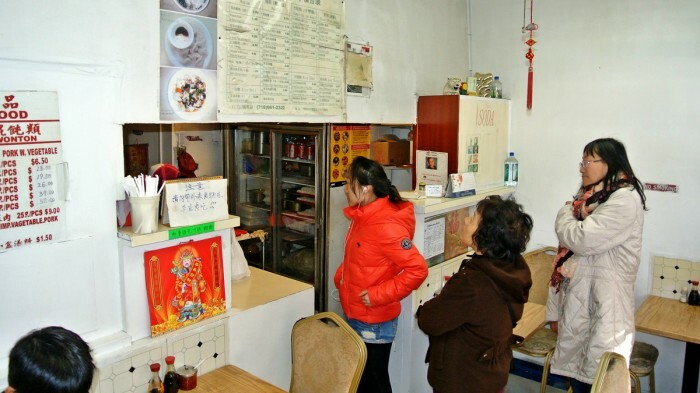 They are an absolutely essential stop for every Flushing visit in my opinion. They look like they’d be incendiary, but spicy they are not. They are light and floppy with a moist, meaty interior and a deep, bold smokiness from the chile oil and ground roasted chiles. But, I think it’s the punchy pickled veggies that really round out all of the flavors and bring it together. Do yourself a favor and head out to Flushing. These incredible wontons are truly spectacular, every time. Each time I order a plate, it’s hard not to order another, they’re so damned good. But there’s always so much more great cheap eating to do once I’m already in Flushing. We left NYC a few years ago for the West Coast as well and this is what I miss the most. I’m scouring the internet looking for a recipe!